HOUSTON (AP) — Victoria Vo watched her father’s calloused hands twist honeycombed wire into a commercial crab trap. The Houston Chronicle reports with each strain of the pliers, Cong Tu Huynh’s American tale grew fresh in her mind. How he left Vietnam at 18, seeing no future for himself in a Communist state. How he boarded a boat full of refugees bound for the U.S. How his boat survived the journey across the Atlantic and four others did not. 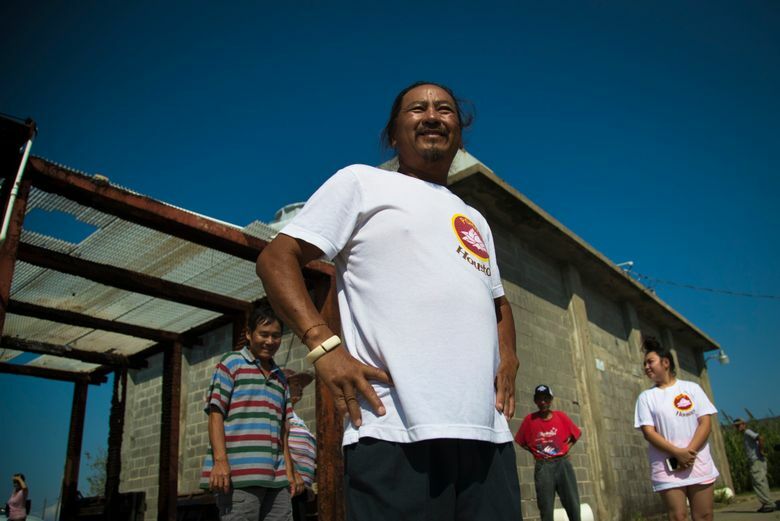 How he spent the next four decades on the water, providing for his family by catching and selling crab in Galveston Bay. Now, the Yamaha motor on his battered teal work boat no longer sputters to life. Bright orange and white buoys lie in a tangled mess on his yard. More than 100 professionally made crab traps were swept away by Hurricane Harvey, with made landfall in South Texas on Aug. 25. With the bay closed, Huynh will struggle to repay the $945 he borrowed to make the repairs, and he has no idea where he will find $10,000 to replace the motor. 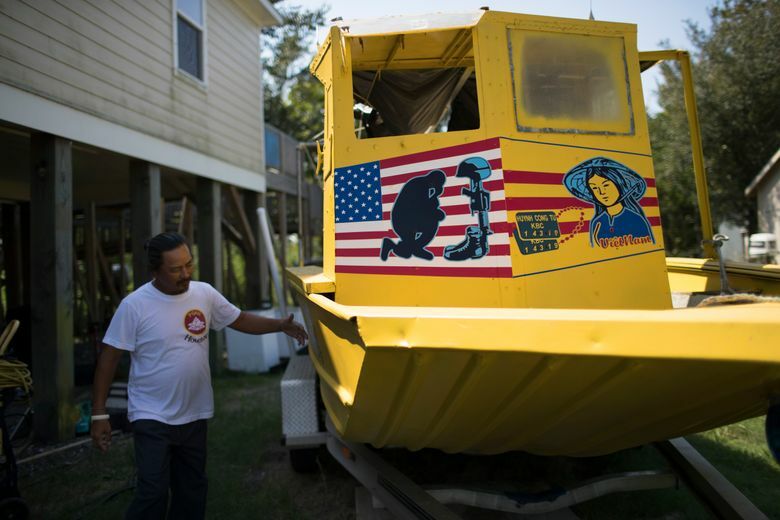 Harvey devastated not only Galveston Bay’s marine life but also the tight-knit group of predominantly Vietnamese and Mexican immigrants who ply the normally bountiful waters for a living. It’s grueling work that supports a multimillion-dollar seafood industry, puts food on tables and lets Huynh, 57, send his daughters to college. In a normal year, commercial fishing and seafood processing in the bay would account for more than $66 million in direct income. But this year, trillions of gallons of freshwater runoff pushed shrimp, fish and crab populations further out into the Gulf and wiped out the prolific local oyster crop. Even if there were anything left to catch, the Texas Department of State Health Services temporarily closed the bay to commercial fishing, leaving many unemployed for the past month. 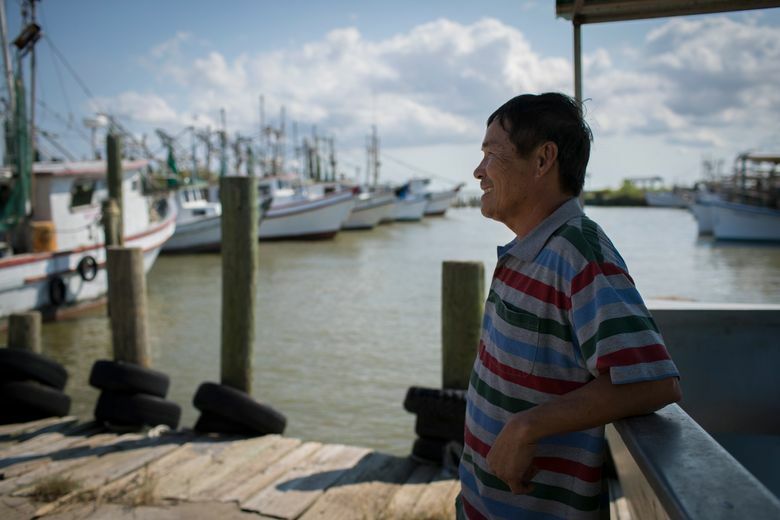 The Vietnamese fishermen living along the Texas Gulf Coast are no strangers to hard times. Houston was an official relocation site for refugees from the Vietnam War and its aftermath, and it now boasts the second-largest Vietnamese immigrant population in the U.S. Many who arrived in the 1970s and ’80s settled along the coast and took up jobs catching shrimp, crab and oysters. More than 400,000 died crossing the Atlantic. The survivors rarely discussed the horrors they witnessed. In Texas, they have survived the Ku Klux Klan and weathered hurricanes and tropical storms. Many still recall how Hurricane Ike destroyed their homes in 2008. They don’t divulge too many details. The week after Harvey made landfall, Jannette Diep, executive director of Boat People SOS-Houston, a nonprofit community service group, fielded up to 60 calls a day from fishermen in Anahuac, Galveston, San Leon and Texas City. She expected questions about government aid. Instead, fishermen and their families overwhelmed her with stories of stress. We can’t eat, we can’t sleep, they said. Seeking mental health services remains taboo in the Vietnamese community, Diep said. Yet for hours at a time, immigrants bared all. “I’ve never seen such defeat on their faces before,” Diep said. In the shade beneath his house on stilts in San Leon, Huynh tinkered with his boat’s broken motor. The wrinkles on his forehead creased in frustration. Vo, who attends college classes in Webster, looked on helplessly. Her father never taught her the trade. Instead, he encouraged her and her U.S.-born siblings to pursue a degree and a career with stable pay. The fishermen in San Leon belong to an older immigrant generation, Diep said. Many believe they have no other job options. “I’m a 57 year old man, and I don’t speak English well,” Huynh said. “What else can I do? Who is going to hire me? Earnings can vary. Primitivo Rojas, 57, who owns an oyster harvesting boat, said he can make about $5,000 a month during the peak season in the fall. For shrimpers such as Duoc Ngo, 59, late August and mid-September should be prime catching weeks. On Sept. 15, Ngo squinted at the idled shrimp boats lined up at a San Leon dock. Rusted metal jaws that collect the daily catch were sealed shut. “Everything is going to die,” Ngo whispered, scowling at the bobbing waves. Co Mai, 59, said most of the smaller independent fishermen have licenses that are good only within the bay. He suspects there is still marine life in the Gulf, but if the Coast Guard catches them there without authorization they could lose their vessels. Their salvation rests with organizations such as Boat People SOS. One year after Ike, the group secured federal grant money to buy new traps, nets and boat engines. Recovery still took three years, Diep said. Initial assessments show fishermen are once again in need of new equipment, tools to repair damaged homes and assistance in covering daily living expenses. The plan is to seek a new federal grant, Diep said. But with recovery efforts underway in Texas, Florida, Puerto Rico and the U.S. Virgin Islands, it’s unclear how quickly such funds can be secured, if at all. The Federal Emergency Management Agency funded Huynh’s house after Ike. Yet he and others say the federal agency has so far denied their request for help with buying fishing equipment damaged by Harvey. Cultural aversion to government debt has dissuaded many from applying for a federal small business loan. He remembers the first time he drove into Dickinson and passed a sign posted by the KKK that read, “No Blacks. No Mexicans.” He remembers the lawsuit on behalf of Vietnamese fishermen that drove the Klan away. He remembers welcoming Mexican immigrant families in the 1990s, inviting them to visit the local temple and ensuring they, too, receive aid in hard times. He keeps a white porcelain Buddha hanging over his grassy driveway. The laughing figure is a symbol of eternal good luck. It glistened in the sun as Vo helped her father put away his tools.